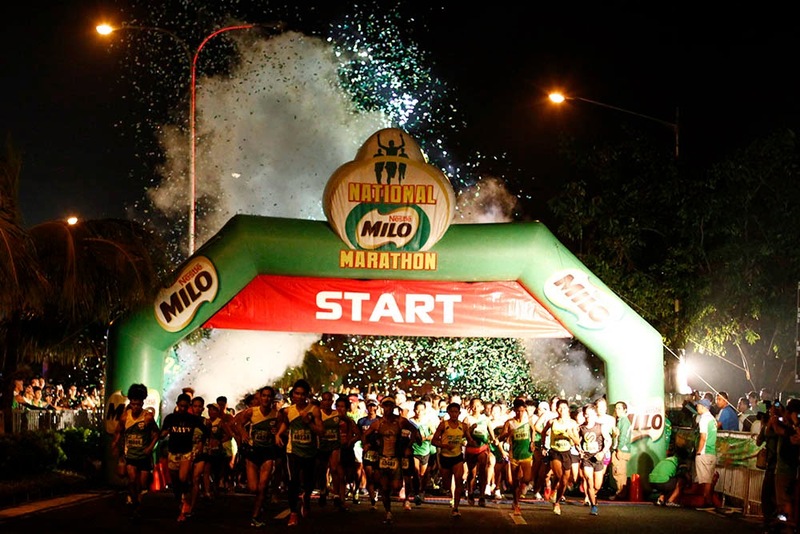 It was estimated 37,063 runners raced to the finish line in the country’s premier footrace, the National MILO Marathon Manila Qualifying Race. On its 38th year the prestigious running event happen early today at SM Mall of Asia grounds in Pasay City, which was dominated by a veteran runner Ireneo Raquin for male and Mary Grace Delos Santos for female at the Milo Marathon 42K category. Both are being trained by coach Mario Castro in Baguio City. Raquin and Delos Santos pocketed a cash prize of P50,000 each, a trophy, and a sought-after slot in the National Finals on December 7. 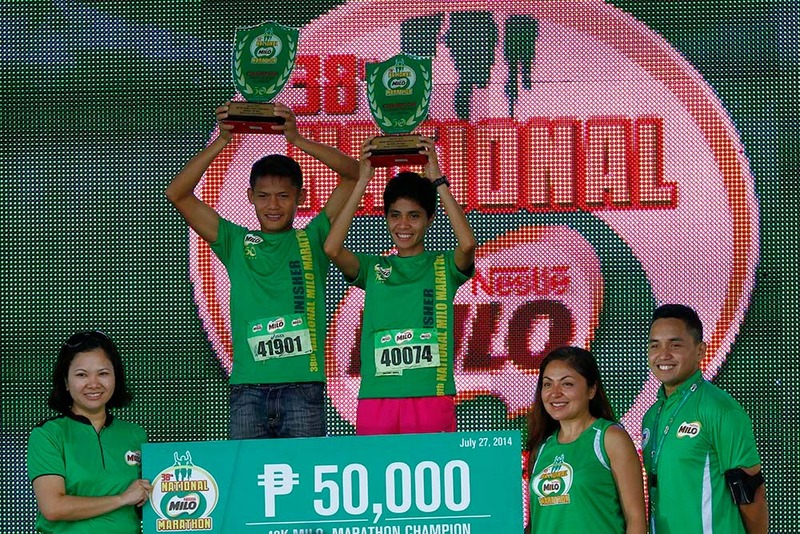 As an added motivation for this year’s runners, MILO will send the MILO Marathon King and Queen to Japan on an all-expense paid trip to the 2015 Tokyo Marathon. Kids, aspiring runners, running enthusiasts and professional athletes graced the esteemed running event. Other distinguished participants who exhibited their passion for fitness and running are MILO R2 APEX Running School (MARS) founder coach Jim Saret, fellow coach Toni Saret, the MARS graduates and the 2014 The Biggest Loser Contestants. The qualifying race will resume in Naga on August 24 before heading to Lucena (August 31), Puerto Princesa (September 7), Lipa (September 14), Iloilo (September 21), Bacolod (September 28), Tagbilaran (October 5), Cebu (October 12), Butuan (October 19), Cagayan De Oro (November 9), General Santos (November 16), and Davao (November 23). The National Finals will be held on December 7 at the SM Mall of Asia grounds in Pasay City.